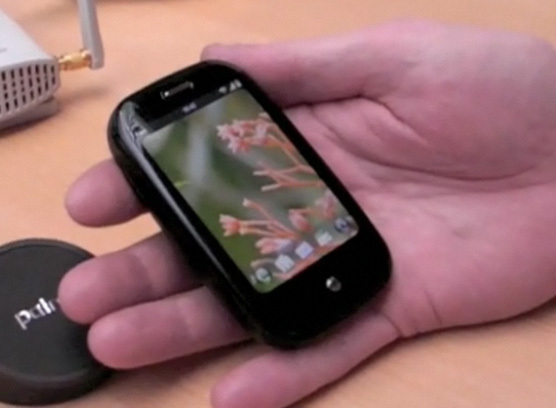 I’ve been sitting on this hands-on video of the Palm Pre for a week or so now, since I don’t have a suitable site to post it to at the moment. So although it’s not the kind of thing I’d normally post here, I thought I’d upload the video anyway rather than let it sit idle. The video is about 30 minutes long and in it, Palm’s EMEA Product Manager, Mark Easton, takes me through pretty much every feature of the Pre. I’ve been impressed with the Pre since I first saw it at CES and I’ve yet to see anything to damped my enthusiasm. I’m still a little lukewarm on the fiddly keyboard (it’s very similar to the keyboard on the Treo Pro), but that’s pretty much the only negative comment I have so far. Incidentally, while shooting this video (with a Sanyo Xacti HD700), I realised part-way through that I hadn’t enabled the anti-shake feature and my hand-held camera work wasn’t as steady as I like. It was too late to stop and start again by this point, so I persevered and used the video-stablisation feature in (the abominable) iMovie ’09 to fix it. Not a fast process, but it did a reasonable good job, I think.